Since the last update (29.45) I seemed to be getting this common Netflix error consistently. 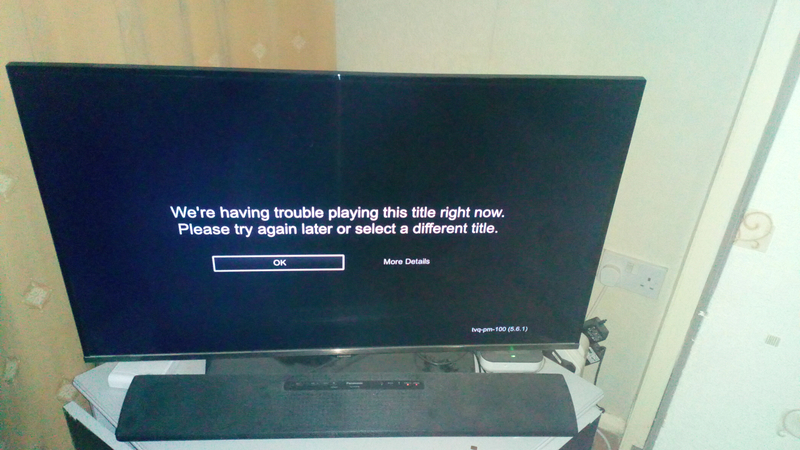 The error message seems to appear at the point when Netflix would ask whether you are still watching. I initially thought it was probably something to do with the firmware but given that I haven't seen much talk here, and my parents box appears to be fine, I am now begining to think it's just me. I have tried a factory reset and a software reset to no avail, any ideas, suggestions? Jot down the times it happens, and post them here. 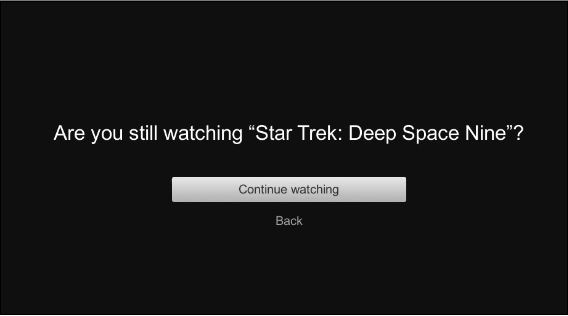 It literally happens every time it gets to the point that it would otherwise give the message to ask if you are still watching, without exception. It is also only on Youview, the issue does not occur using the Chromecast, Playstation or LGTV app. At what point does Netflix ask 'are you still watching? It asks after you have watched a certain number of episodes or for a certain period of time, I am not sure which although I am leaning towards the former. It is more pronounced when my son is watching TV because the episodes are really short so comes up a lot more frequently. I've never seen that before. Is there some circumstance in the way you use it? As in for say permanent pause? Nope, just watching lots of episodes in a row. It will appear after the countdown to the next episode. Thats what I was after. 29.45 yes? I'll report it for you. Though just for info your the first and only one to report this. It could be your powerline adaptors if your using them? Yes, 29.45 on the 4K BT Humax, I came on here expecting to find similar reports to be honest and was surprised to find that there were none. Missed this message when replying but no, my box is wired straight to the router. Thinking further on this, I've never once seen this message on Netflix. I have done, but no more than 4 episodes at a time. Hi guys I have this happening as well. My wife enabled the autoplay function on our account I hate it but for some reason she likes it. It happens in the exact way Phil described on my dtr t 4000 only. My dtr t2000 retail is not effected by the issue. It appears to be an issue with T4000s only. Hence why I posted my version number on a T2000. Its a nightmare I'm sick of the error to be honest I'm considering turning auto play off again but it won't be popular with the wife if I do. As a test I turned auto play off and been watching Netflix unfortunately if you switch auto play off this message appears occasionally instead when you first start a program playing. Not to say I'm pleased, but I was beginning to think it was just me! Just to let you both know, I've reported this T4000 issue directly to the relevant, so they should be on it within 48 hours. Just curious (and also relevant) - I've posted my T2000 Netflix version above. Would you both please state your version number as it will help with the investigation. And the version number, please? Ta Phil. To clarify, it's not the "are you still watching" prompt that's the issue, it's the error message that is appearing in its place. We are unable to play this content right now. I'll take an image tonight when it inevitably reoccurs. There we go, that's the one! Try logging onto a laptop or PC and log off all devices. Close the browser. Open a new one and log back on again. Now log your T4000 in. It may not work, but worth a try. Thanks but I already tried it before I posted on here it doesn't work unfortunately.